The best product to stretch your nails, perfect to disguise the imperfection of natural nails. Builder Rosè Uv Gel Camouflage Picky Nails line is a universal gel, easy to handle and apply with a brush. Builder Rosè Uv Gel Camouflage line Picky Nails is an easy high-density uv gel product easy to spread and shape on the nail. It can be used both for the sculptural elongation and as a base and a cover, ensuring extreme durability to your nail reconstruction. This type of uv gel is suitable for a lot more complicated in salon work. Its ease of use makes it usable by both professional nail technicians that by beginners. The Builder Rosè Uv Gel Camouflage color is identical to the natural color of natural nails. Its particular formula allows him to not develop too much heat during the polymerization. Great for reconstructions with standard nail-forms, throttle nail-forms, fly nail-forms and stiletto nail-forms. Builder Rosè Uv Gel Camouflage can also be used for recostruction with tip making sure to create the perfect camber. Spread a thin layer of Cover Natural Uv Gel Camouflage and polymerize. Without removing the dispersion roll out Cover Natural Uv Gel Camouflage indicating a slight curvature. With Builder Rosè Uv Gel Camouflage is also possible to carry bulky stretching. 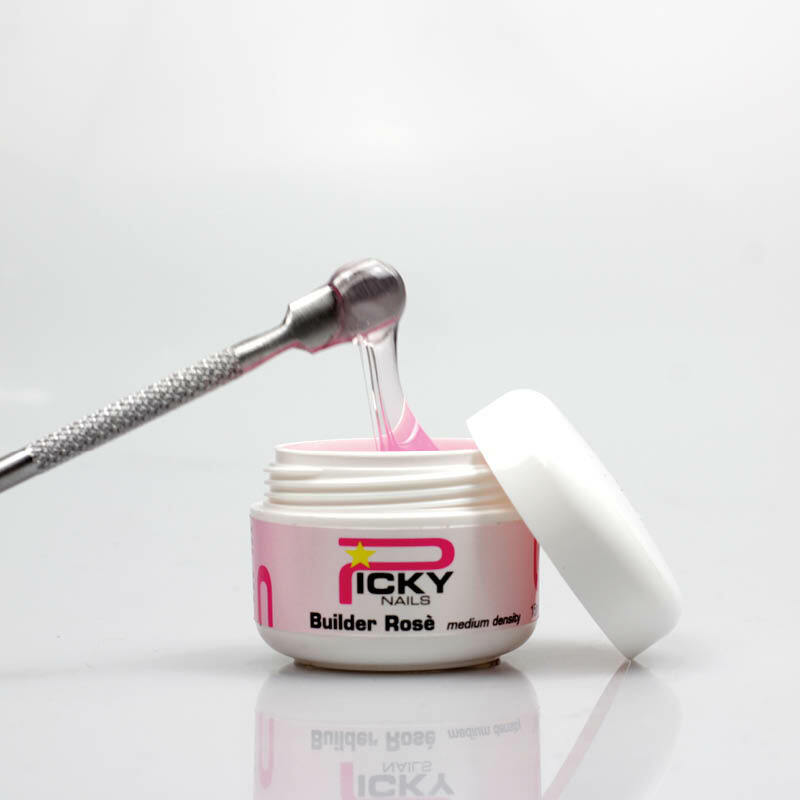 Builder Rosè Uv Gel Camouflage line Picky Nails is a very high professional quality product, used in the halls of nail artists from all over Europe.